Today we’re doing something a bit different; I wanted to walk you all through the experiments I did while I was working on last year’s Christmas Tree Body Wash as The Tale of the Curdling Body Wash. It was a really interesting puzzle that I worked at for quite a while—I managed to isolate the trigger, but I still don’t know exactly what is going on, so my only solution for avoiding the curdling is avoiding the trigger. I thought I’d share my process and my results, and maybe we can crowd source a better answer! Happy New Year’s Eve! I know many of you will be off doing fun and exciting things with your friends and family, or perhaps hibernating at home alone with a good book and a cozy blanket, so I thought today I’d take a look back at the last year of projects I shared in 2018 and highlight some of my favourites. These projects are some of my favourites from 2018; ones that represent new or refined techniques, newly beloved ingredients, things I use every day, and things you guys fell in love with. Thank you so much for all your support this year—I feel so incredibly lucky to be able to do so much making and share it with so many wonderful, encouraging, inquisitive people ❤️ You guys are the best! Welcome to my annual Things I Learned in post. I usually start working on this post the day the one for the previous year is published—the discussion in the comments is always fantastic and inspires new revelations to share the following year. 2018 was a busy one for me, packed with a ton of travel (eight individual trips, five countries, and 32 flights! ), lots of fantastic Humblebee & Me meet ups, and so much learning and experimentation. I attended my first conferences, spoke in four different US states, and met so many wonderful people all over the world. This was my second full year of full-time blogging and I simply cannot express how incredibly grateful I am to all of you for making this possible. 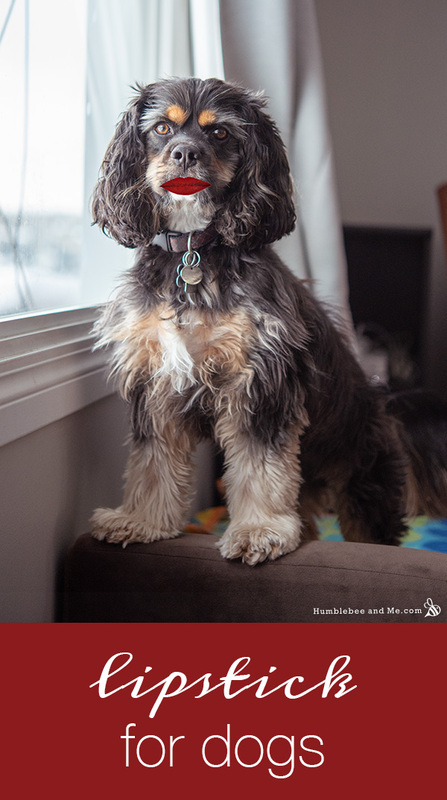 Your support helps cover the costs of not only hosting, ingredients, and equipment, but also rent, dog food, groceries, and car insurance. My wonderful patrons get an extra measure of love and appreciation for their ongoing and direct support of Humblebee & Me, but every single one of you who visits, comments, emails, and DIYs with me helps to keep Humblebee & Me online. I appreciate your support, questions, and encouragement so much! Now, without further blithering, let’s get into those things I learned! Re-read these annual entries; it’s amazing how many lessons are learned more than once, or revised. Reduce, reuse, recycle, and REFUSE. Don’t adopt things you don’t need. If you can politely decline a gift (say, a grab bag at a party or a company branded PR item), do. It’s so much easier to never have something in your life than to bring it into your home and find it weeks, months, or years later and have to make decisions about it. 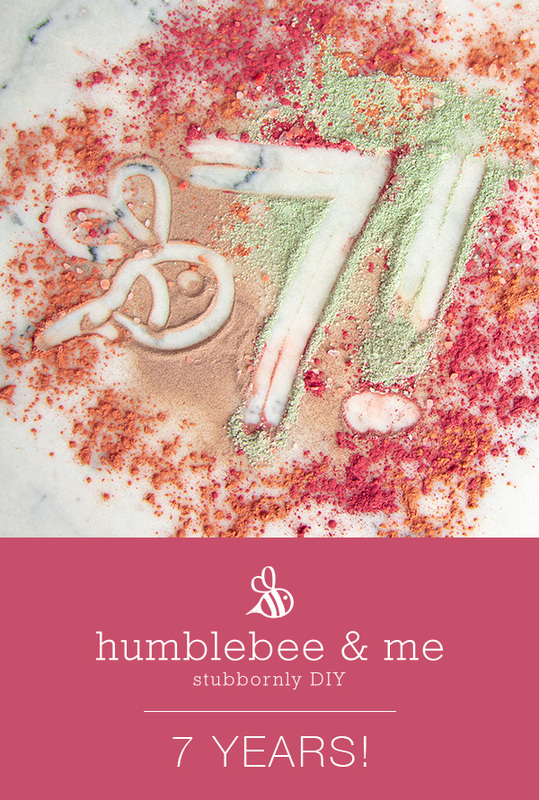 Humblebee & Me is 7! Hey Bees! I can scarcely believe Humblebee & Me is seven—if this blog were a wee person she’d be able to read and tie her own shoes and would probably be planning on going as Laura Ingles Wilder for Halloween so she had an excuse to wear a starched bonnet to school. This year has been a really fun one of learning, travelling, meet-ups, and more!